Average rating of 5.0 for all Alaitol Safaris trips. Daily wildlife viewing keeps the whole family entertained. See Tanzania’s most famous landmarks: the Lake Manyara, Ngorongoro Crater and Serengeti. Experience the best wildlife viewing in the world. Meet our local friends on a visit to a Maasai, Hadzabe and Datoga . Waken to the sound of monkeys running across the roof. Seeing animals in their natural habitat, so close that you actually feel as if you could touch them. Relaxing on the palm-fringed beaches, you’ll be able to enjoy a range of activities. Take a trip to the narrow streets of Stone Town. Immerse yourself in the smells and tastes of nutmeg, cinnamon and cloves on a legendary spice tour. Experience first-class hospitality and delicious cuisine at our stunning tented camps. Visit Jozani Forest to see Zanzibar’s endemic Red Colobus monkeys. Take a boat trip to watch bottle-nose and humpback dolphins and wander through the narrow streets of Stone Town. Or immerse yourself in the smells and tastes of nutmeg, cinnamon and cloves on a legendary spice tour. See Tanzania’s most famous landmarks: the Tarangire, Lake Manyara, Ngorongoro Crater and west Kilimanjaro. See the animals you’ve dreamed of seeing on safari. Escape modern-day distractions in eco-friendly camps. Visit all of Tanzania’s top parks. See ing animals in their natural habitat, so close that you actually feel as if you coul touch them. 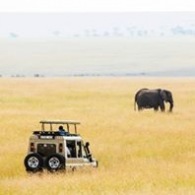 See Tanzania’s most famous landmarks: Tarangire, Lake Manyara, Ngorongoro Crater and Serengeti.